If you just had a baby you probably haven’t gotten a ton of sleep lately. You may be sitting here thinking you’ll never get sleep ever again, but guess what? Sleep is possible! The lack of sleep can largely impact your life. 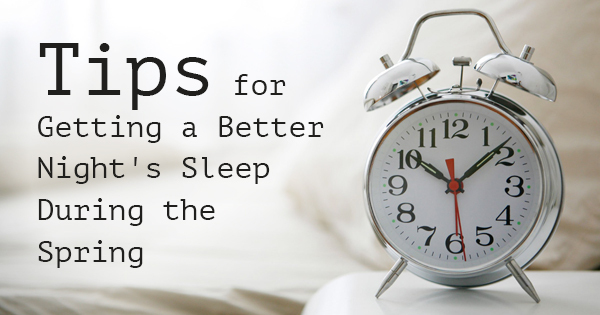 And to get your sleep schedule back on track, there are a few things you can do. 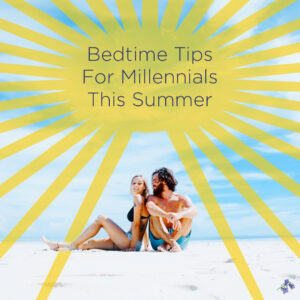 The first things you should do are establish a regular bedtime routine and try to relax. While it may be hard to get under the covers at the same time every night, getting into a bedtime routine can be beneficial. There are many different relaxation techniques you should start practicing if you want to get a better night’s sleep. For example, you can read a book, go on a walk to clear your head after dinner, fill out a crossword puzzle, or listen to calming music. You may even consider taking a relaxing bubble bath every now and then (if you can). Do anything that will help you wind down that doesn’t involve a screen. So, stay off of the phone and turn off the television and computer. Even if you rely on soda and coffee to get yourself through the day, this won’t be very helpful while trying to fall asleep. Cut yourself off from stimulants as well as chocolate and energy drinks by mid-afternoon. We recommend having your last cup of coffee at lunch time. Stimulants like these are guaranteed to make falling asleep harder, especially if you indulge in them later in the afternoon. When your baby is asleep and you’re finally able to get into bed, it can be very hard to switch off your mind. If you find that you’re having trouble trying to get to sleep, don’t get frustrated. Try writing down what might be keeping you awake. You could also try changing up what you’re wearing to bed. If you’re in a pair of sweatpants and a baggy t-shirt, you might not be as comfortable as you think. A white cotton nightgown or white cotton pajamas might be the better option. 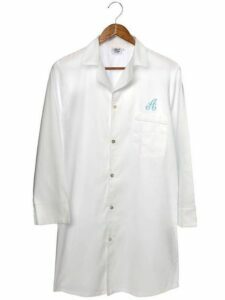 The great thing about white cotton nightgowns or nighties is that they’re going to keep you warm, yet they’re light enough to be breathable. Change out your old pjs for something comfortable and cool like the new Natalie PJ set. Newborns tend to sleep about 10.5 to 18 hours each day. Even though this may seem like a lot of sleep, it can be very hard for a new mom to catch a significant amount of shut-eye. To try and make your sleep experience better, change your sleepwear to cotton PJs and nightgowns, stick to a sleep schedule, and cut back on stimulants and caffeine at least 4-5 hours before bedtime. 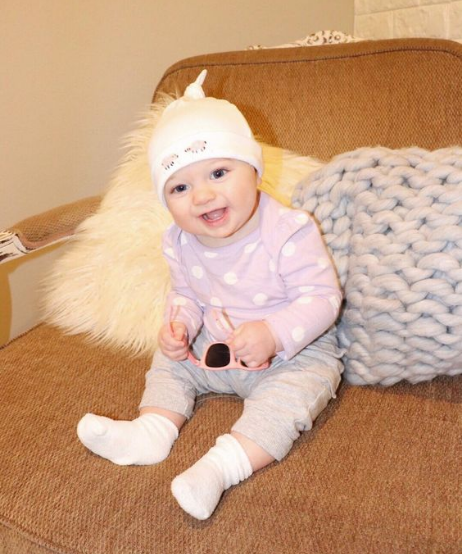 The cutest little baby wearing a baby sheep embroidered baby hat from Jacaranda Living. It comes in many designs, choose your favorite here. Yes, your newborn is adorable, cute and most of the time very needy, but you need to put time aside for yourself too. No matter how hard you may try, falling asleep might be one of the most difficult things even after a long day. You may have tried everything, including drinking sleepy tea, counting sheep, and listening to ambient music, but nothing seems to work. It’s hard to fall asleep for many people, but there are some options you may have never thought of that are proven to help you get a good night’s rest. Some of these tips may have slipped your mind but they might be the missing answer to all your problems! Therapists aren’t only helpful if you’re going through something mentally. They can also help you figure out why you are having problems falling asleep. Many therapists also can explain Cognitive Behavioral Therapy for Insomnia. This technique involves creating a relaxing environment before bed. It has actually been most helpful for those with insomnia or who just have some trouble falling asleep. Have you ever taken a moment to think that your pajamas might actually be the reason why you can’t fall asleep? If you’re still wearing old t-shirts or thicker fabric PJ shorts to bed, you will find yourself tossing and turning rather than relaxing. The often unnoticeable scent of very old clothing makes it difficult to relax in bed. You think you probably can’t get to sleep without these old t-shirts or PJ shirts, but they very likely might be the problem! Try to buy new cotton PJs that are lightweight and breathable, especially for warmer summer nights. You won’t get too hot and sticky in bed and can breathe in the fresh scent of 100% clean cotton. If that doesn’t put you to bed, try lighting a fresh clean cotton candle to take any unwelcome odors out of the bedroom. You may even consider giving percale a shot. 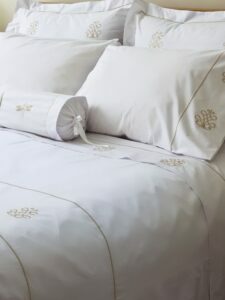 Percale is any cotton woven with a 200 thread count or higher and is more durable than a cotton satin of the same thread count. It’s also less likely to pill than cotton satin due to its denser weave. The mattress you own might not be firm or soft enough and could be causing your terrible time. Head to your local mattress store to test-drive a few beds. Try some that are really firm and some that are really soft. See how they compare to the mattress you sleep on now. If you feel more comfortable on something from the store, make the investment and switch it out for a newer bed. If you consistently have trouble sleeping but feel like you’ve tried every option, there might still be other things you haven’t given a shot. Consider talking with a therapist, switching out your pajamas, or trading out your mattress for a new one. Many millennials are notorious for taking naps (when they have time) — and for good reason. Sometimes sneaking into a conference room and locking the door feels like the only time they can get a little bit of shut-eye in between meetings. But do your best to break that habit and cut out your daily naps. If you do need to take a nap, keep it to less than 30 minutes. That way, you’ll wake up feeling refreshed in your white cotton pajamas rather than groggy. Have a great long Memorial Day Weekend! 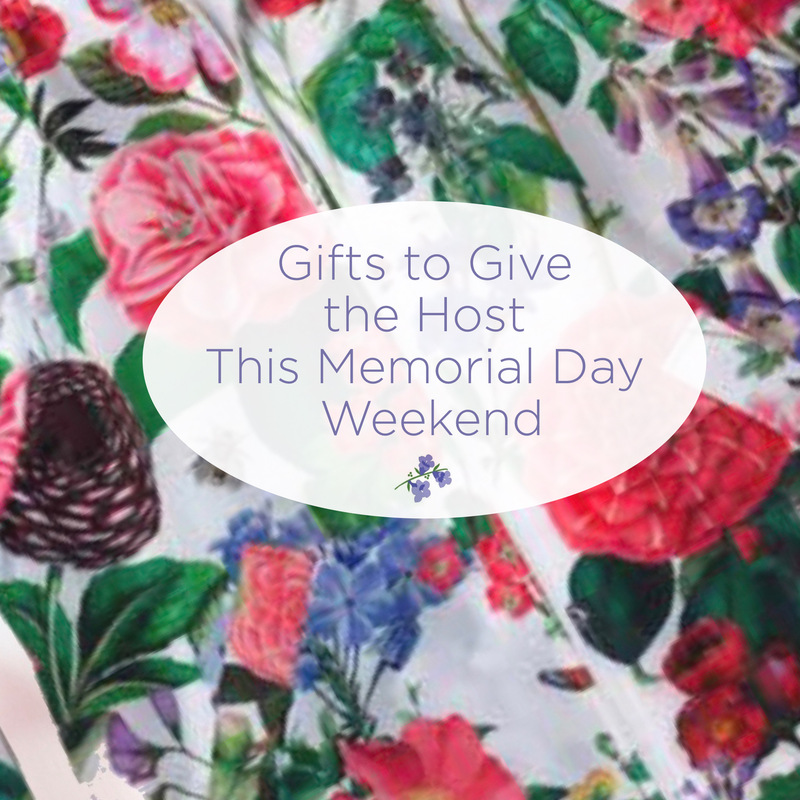 Do you have a friend that is inviting you to their home for Memorial Day Weekend? If they invite you over to explore their digs, don’t forget to bring a gift! 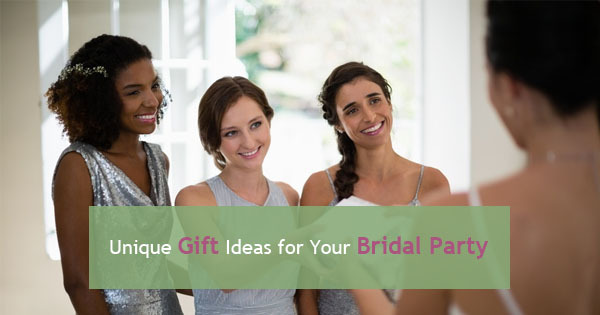 If you’ve already spent some time trying to come up with the best idea for a gift but have had no luck, here are some ideas below that can help you out. Instead of just getting them funky cutting boards or candles, try something a bit more unique. Pick up some fun embroidered cocktail napkins like the below lobster ones from Jacaranda Living. 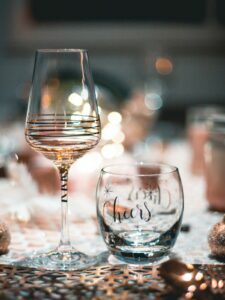 They are not only decorative but they’ll also get the host and other guests excited for summer and the festive long weekend. These cocktail napkins just scream summer, and there are plenty of other nautical embroidered designs to choose from if your host doesn’t like lobster. 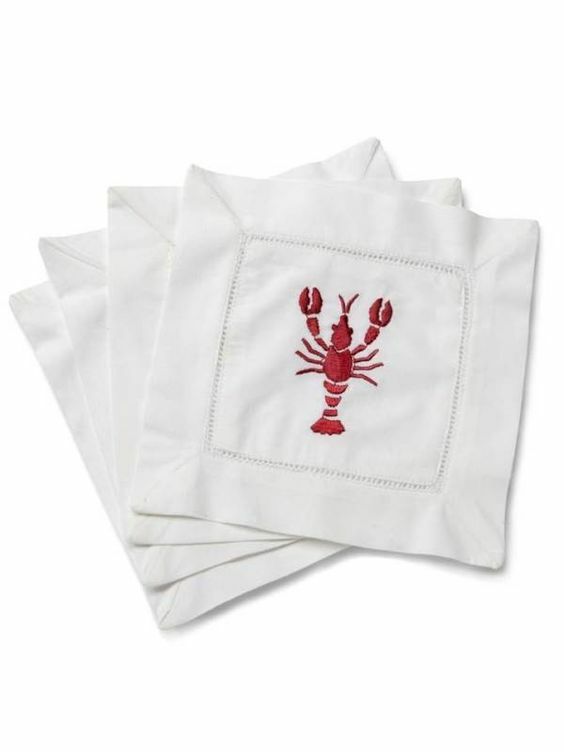 These lobster embroidered cocktail napkins will liven up cocktail hour every day this summer, especially when everyone is barbecuing and having drinks on the patio. You may think getting your friend gift cards is impersonal or maybe even a bit tacky. In reality, it’s actually one of the best gifts you can give them. Give them gift cards to restaurants near their home, grocery stores, or even a specific gift card to their favorite store. 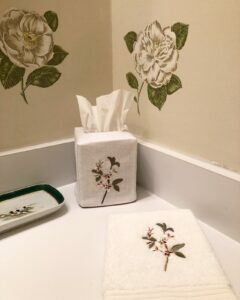 If they aren’t fully happy with their home decor yet, you should look into getting some beautiful embroidered guest towels or unique boudoir pillows for their living room. Your host will be able to pick out exactly what they want and it’s not going to cost them any of their own money. Don’t show up empty-handed this weekend when you stay at your friend’s place. Get them a gift card to Jacaranda Living so they can pick out anything they like such as this natural linen tissue box cover for their home. If you’re running late to meet your friend at their house and have yet to give them a gift, a bouquet of flowers is never a bad idea. 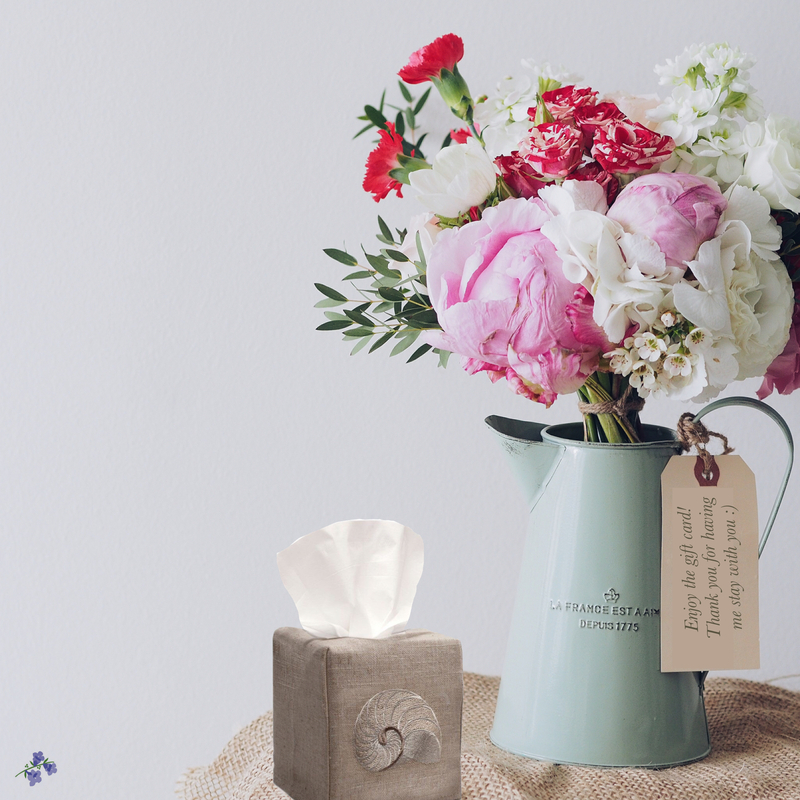 Flowers liven up any space and give it a welcoming vibe. 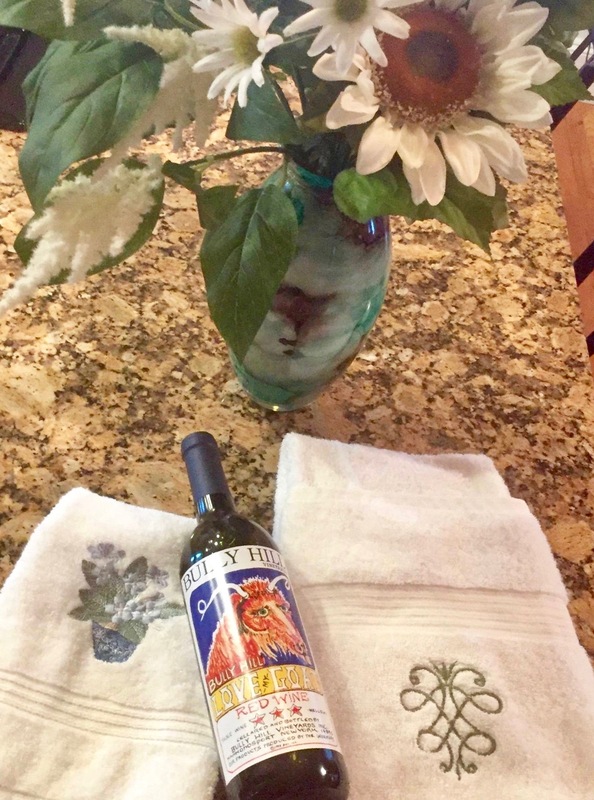 You can even pair the flowers with a bottle of wine or terry guest towels so it’s a quick gift for both the house and host or hostess! Get your friend their favorite wine, flowers or some nice terry guest towels as a thank you gift for hosting you over the long weekend! A first aid kit is one of the most practical things you can buy your friend for their new home, and it can really come in handy. Especially for a long weekend like Memorial Day Weekend or July 4th where your host will likely be hosting more than a few people. Anyone can easily knock into something or fall while enjoying a few cocktails or doing fun outdoor activities like corn hole and bocce. A first aid kit can be a big help in these situations, as the host won’t be scrambling realizing they forgot to pick up some band-aids before his guests arrived. Getting a gift for your host is a nice gesture. If you’re struggling trying to come up with a gift idea, take a look at few of the suggestions listed above! If you’re a woman in (or near) your 30s, it’s time to stop looking like you still live in your college dorm room. Since you’re a hardworking professional now, you should start thinking about improving the way your home or apartment looks. You don’t have to make any of these changes if you don’t want, and you certainly don’t have to make any of these changes for anyone other than you. But getting rid of some of your old items and purchasing some of the finer things in life can actually help you feel more productive about being that thing you already dreaded: an adult. Quality bed sheets — If you have been sleeping on the same bed sheets since college, you might want to think about upgrading them… like right away. Having nicer sheets won’t just help you feel more like an adult, but they will actually improve your sleep habits as well. In fact, roughly three-quarters of people admit that they regularly get a more comfortable night’s sleep on freshly scented sheets. 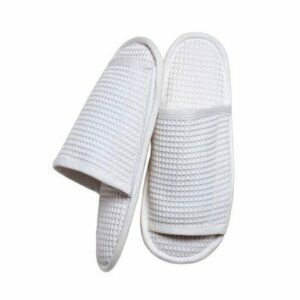 Turkish bath towels — We all enjoy showertime, but luxurious turkish bath towels make it that much more enjoyable. These luxurious 100% Turkish Cotton Bath Sheets are made with 600 GSM-carded yarn. They combine super-absorbent quality with a soft, luxurious, rich feel. Look forward to stepping out of the steamy hot shower and wrapping up in these elegant, cozy towels. So much better than those thin towels you used in college. A distinctive checkered jacquard weave design is one that we can’t resist wrapping up in after hot showers or to stay warm on your bed. Victorian pajamas — You don’t have to get rid of all those larger college shirts that are comfy to sleep in, but purchasing some cute pajamas for nights you want to feel a little more elegant is a great idea. Get some white Victorian pajamas and toss them on before bed whenever you want that comfortable and luxurious feeling. 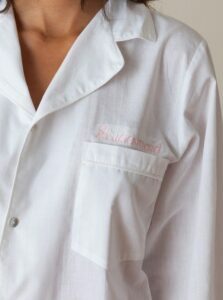 Grab your favorite movie with some popcorn and slip into our women’s white cotton Pajama sets. Decorative pillows — Decorative pillows are great fixtures to have inside an apartment or home that will drastically improve its look and feel. You don’t have to go overboard and purchase dozens of these pillows, but simply placing a few decorative pillows on your couches and your bed can give your home or apartment a much needed boost in elegance. 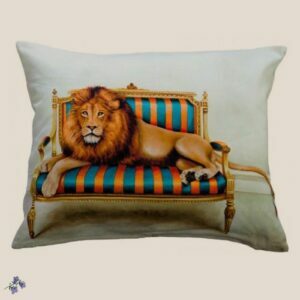 Jacaranda Living’s Wildlife at Leisure Pillow Collection is unique and beautiful, making the styles a perfect addition to glam up your apartment or home. 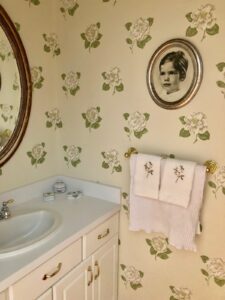 Victorian mirror frames — Since you’re starting to thrive in your professional life, you should think about upgrading the type of mirrors around your home — as well as the number of mirrors. 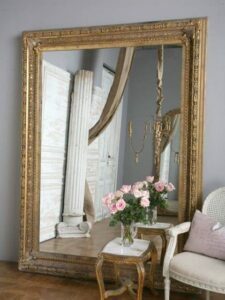 Your rickety old door mirror might’ve gotten you through college, but it’s time to find some high quality Victorian mirrors that not only serve a functional purpose, but are also excellent accent pieces for your home’s interior. If you want to find some great looking Victorian nightgowns, embroidered pillows, or other elegant products, give Jacaranda Living a call today! If you’re hosting guests in the near future, make them feel more comfortable by spicing up your guest room a bit. In order to do this, there are a few things you need to include in the bedroom and bathroom. Here is what you’ll need. A touch of spring to elevate your bathroom for your guests. A room can never have too many linen guest towels or blankets. Some people tend to get cold throughout the night, so it’s important to always keep their room stocked with extra blankets so they can bundle up without asking you for any spares. You can place them right on the bed and spice up the look of where they’re going to sleep by including boudoir pillow cases, an embroidered tissue box cover, and embroidered pillows. Seven to nine hours of sleep per night are generally recommended, so you want them to get the best night’s sleep possible. 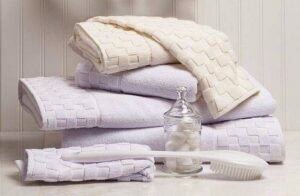 The linen guest towels are also important because your guest will be able to get ready for bed or for the day whenever they want, without having to wait for you to hand them towels. If you’ve ever been to a hotel, you know that all of the drawers and closets in the room are empty. This is so anyone can hang their clothes up without feeling like they have to live out of their suitcase. The same concept should apply to your guest room. Leaving an empty closet with a few hangers will allow your guest to hang up their clothes for easier access. Plus, it’ll prevent their clothes from getting wrinkled, which can be a big help if you don’t have an iron on hand for them to use. If your entire house is ready to go to bed but your guest is not, leaving things in their room to keep them entertained is a really great idea. Put a few books and magazines on the nightside table or bring in a TV (and make sure you explain how to use your remote and navigate the different channels, as well). Your guest will love the fact that you took the time to pay attention to what they might need, even if they don’t end up using any of it. 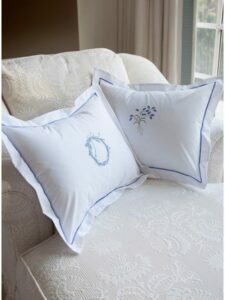 A few floral embroidered pillows to add some elegance and comfort to your guest room. Hosting guests can be very stressful. However, if you have a well-prepared guest room, their stay will be more than enjoyable. Cotton vs. Satin: Which Pillowcases Are Better? How much sleep you get each night is extremely important. If you don’t get a lot of sleep, chances are you’re going to be grumpy and not on your A-game the following day. 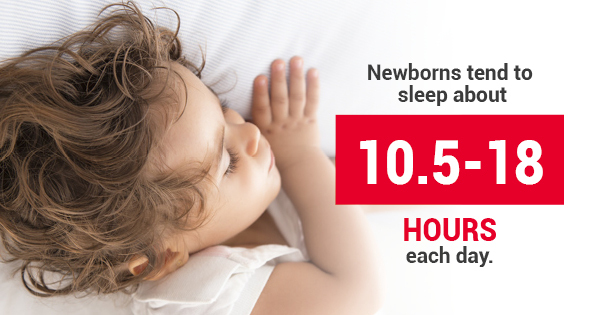 Newborns sleep a total of 10.5 to 18 hours a day, but as adults, we need just about eight hours. 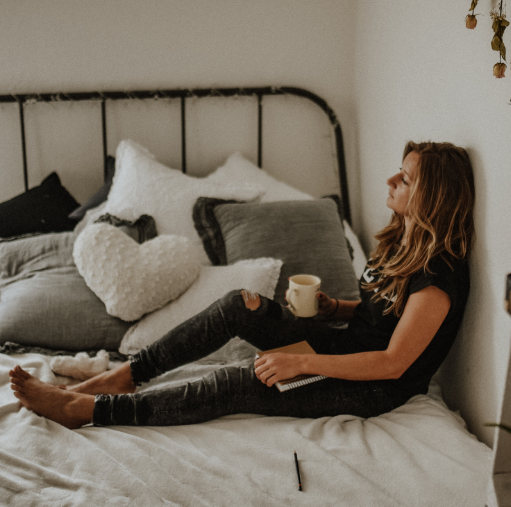 Lack of sleep can often be due to sickness, living arrangements, or the fact that you’re still in college and have to pull your fifth all-nighter this semester. But lack of sleep can also be due to the fact that your bedding isn’t as comfortable as it could be. It’s the age-old pillowcase question: Which is better — cotton or satin pillowcases? If you are currently stuck with the option of satin or cotton pillowcases, here is a lit of what you need to know about each of them. Cotton pillowcases are extremely comfortable if you’re looking for a really good night’s sleep, but if you have curly hair, you’re going to regret laying your head on them. Cotton is an absorbent fabric which means while you sleep the pillowcase may absorb some moisture from your hair and cause a few tangles. On the bright side though, cotton is very breathable in perfect for warmer climates where you want to lay on something that will keep you cool. Say hello to an excellent night’s sleep during those hot summer months! In addition, cotton stays soft throughout its lifetime and gets more comfortable with every wash. Satin pillowcases are perfect for the curly haired people of the world as they are extremely smooth, won’t absorb moisture, and won’t create friction. 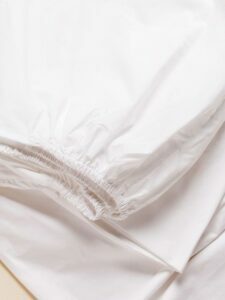 Many people confuse satin pillowcases with silk pillowcases, but it’s important to note that satin is man-made and silk isn’t. Satin is made of a synthetic fiber. It’s not as expensive as silk pillowcases, and can also be used for decorative pillow or boudoir pillow cases. Boudoir pillow cases are perfect for any room in the house, so keep that in mind when picking out the perfect types. Sleep is extremely important and isn’t successful solely based on the white cotton dresses or white nightshirts you wear to bed. It’s also based on what you’re laying your head on. Now that you know a little bit more about these two types of fabric for pillowcases and if they can be used as boudoir pillow cases or not, which are you going to choose? Posted on April 2, 2018 Author GracieCategories BeddingLeave a comment on Cotton vs. Satin: Which Pillowcases Are Better? Why Can’t I Get a Good Night’s Sleep During Spring? Bedtime is typically your chance to unwind after a potentially stressful day at the office so put your feet up and shut your eyes. Considering how important sleep is, it’s important to note that spring is typically the hardest time of the year to actually get a good night’s rest. If you find yourself struggling to sleep well during the spring, here are some reasons you might be having trouble. Spring is usually one of the most allergy-ridden times of the year. It’s just about that time when trees and all other plants start shedding pollen, which leaves many people having itchy throats, runny noses, and burning eyes. Needless to say, it can be really difficult to fall asleep and sleep well throughout the night with these allergies. One thing you can do to help your sleep is to make sure all of your sheets, boudoir pillow cases, and blankets are consistently being washed. Boudoir pillow covers are really good in general since they are made out of cotton, but it still is important to wash them weekly along with the rest of your bedding in hot water. This will help eliminate any of the allergens that you brought into bed after a long day outside. Plus, your embroidered and decorative pillows will smell nice after you wash them. In fact, about three-quarters of people say they get a more comfortable night’s sleep on sheets with a fresh scent. Many people may be excited that it’s not getting as dark as early anymore, but the fact that the sun is setting later means it’s going to rise sooner. If you are generally awoken by the sun, you might need to install some blackout curtains in your room. The blackout curtains, as their name suggests, will prevent light from coming into your room, so you’re not waking up before your alarm goes off. If you don’t want to have a fully blacked-out room, wear an eye mask instead. If you’re not a fan of birds chirping early in the morning, then you probably hate spring. Usually, during the springtime, the birds are awake before most humans are. If you have a bird’s nest right near your window, you might think there’s nothing you can really do about the noise. You can’t move the nest, but you can wear a pair of earplugs to bed. The earplugs will do enough to block that excess noise out, but will still allow you to hear your loud alarm going off so you can start the day on time. Spring is one of the best times of the year, but it can be one of the worst for your sleep. Take a look at the steps listed above and if you find yourself in any of those situations, test a few of the solutions we’ve offered here. 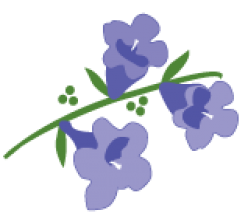 Posted on April 2, 2018 Author GracieCategories BeddingLeave a comment on Why Can’t I Get a Good Night’s Sleep During Spring?